In the state of California, affordable housing and the availability of healthcare options are two of the most hotly-debated policy areas. 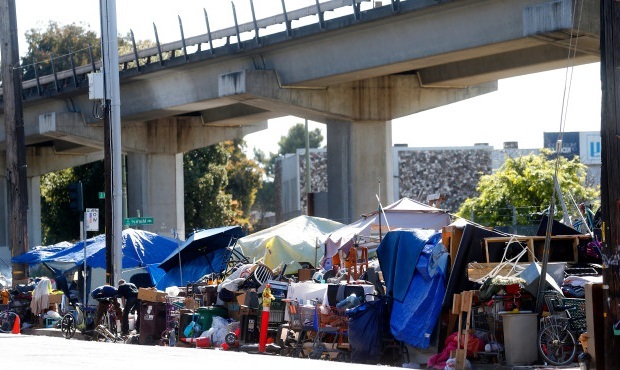 Communities throughout the state are struggling with a sharp increase in homeless populations, while healthcare considerations for these displaced individuals have also created a drain on resources. Experts agree that the two policy areas are strongly linked and that solutions to both may positively impact these homeless populations. A number of organizations have sprung up in the state to help homeless populations find shelter and adequate medical care. The Santa Clara Valley Medical Center operates a Homeless Healthcare Program, serving homeless populations. The Program opened clinics in a number of locations, such as at the Gilroy Compassion Center, the Bill Wilson Center, the Reentry Resource Center, and the HomeFirst shelter. In addition to treating homeless populations in the area shelters, the Program and its clinics provide vital healthcare services to seasonal farm workers, immigrants, and homeless people outside of designated shelters. Healthcare providers at the clinics saw the benefits of providing housing to the homeless – this safe housing offers multiple benefits, especially for those individuals struggling with addiction or those with complex medical issues. Housing allows individuals to store their needed medications in a safe place, helps residents to establish routines and reduces the risk of individuals in slipping into illicit behaviors. Providing housing to homeless individuals has immediate positive impacts on their lives, giving them a sense of independence while fostering stability. These factors also help to improve overall health, reducing their need for interventional medical care. Studies have shown that focusing on housing before other considerations help reduce costs associated with providing long-term homeless care, and those residents also tend to stay sheltered longer. As mentioned earlier, providing housing can have dramatic and life-changing positive aspects to homeless individuals. Typically, homeless individuals with serious health issues and/or addiction to drugs and alcohol face many hurdles, and their health depends on their ability to find housing and adequate care from medical professionals. The Homeless Healthcare Program employs a team of professionals ranging from community health workers to case managers, psychologists, pharmacists, nurses, and physicians who work together to overcome the struggles homeless individuals face. Safe and clean housing is that extra component that helps other factors work in favor of improving health on the part of the homeless. Housing provided to the homeless population can take many forms, from designated shelters to safe parking spaces for RVs, tiny home villages, and subsidized apartment blocks, just to name a few. This housing reduces impacts on health – for homeless residents with diabetes, housing allows them to refrigerate insulin. Expensive medications can also be stored safely, reducing the chance of other people stealing them in an effort to abuse them or to sell them to other area residents. If medications are kept safe in housing, the people who need those medications most can have continued access to them, helping to improve their health outcomes. Housing and healthcare are inextricably linked, and programs like the Santa Clara Valley Medical Center Homeless Healthcare Program serves as a shining example to other communities in California and across the nation. By balancing these two critical needs, burdens imposed by homeless populations on resources are reduced or even eliminated. Joseph E. Davis is dedicated to helping with homelessness in the Bay Area after his 40-year career as an inventor. He has published 32 U.S. patents. To learn more about Joe, click here or contact him.